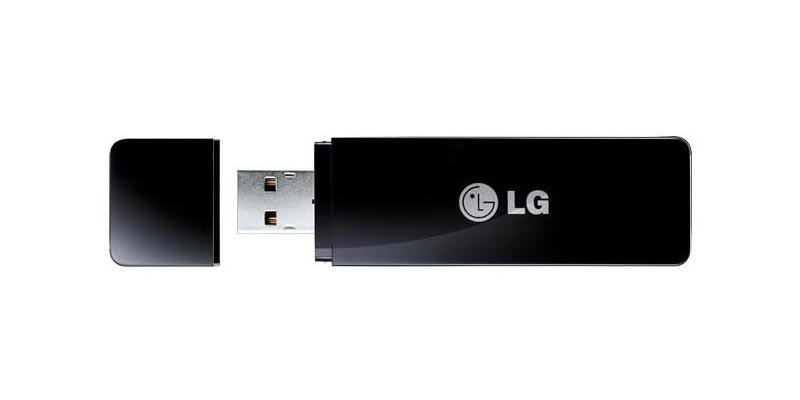 LG Wi-Fi Dongle from £19.99 – this Wi-Fi dongle can be plugged into your Wi-Fi ready TV to connect to your home network, so you can use online apps like BBC iPlayer and Facebook, you can also share content from other devices using your network on the big screen. It also works with Bluetooth 3.0! Pure Jongo A2 Wireless Hi-Fi Adapter – with both Wi-Fi and Bluetooth capabilities this adaptor allows you to listen to music streamed from Apple or Android devices directly to your Hi-Fi. You also get optical and co-axial digital audio outputs for nn wireless devices. Camac Mini WiFi Wireless USB Adapter Dongle – Bluetooth dongle for Raspberry Pi with a wireless transfer rate up to 150Mbps and can be powered directly from the Raspberry Pi. Nikon 27081 WU-1a Wireless Mobile Adapter – for selected Nikon COOLPIX and Nikon D-SLR models, easily transfer images to a compatible device as they are taken or share via email or directly uploading to your blog or a social networking site. Bayan StreamPort Universal White Bluetooth Wireless Adapter – connect any mobile device to your Hi-Fi wirelessly and stream music within seconds using NFC technology for auto pairing and get near CD quality audio performance thanks to the aptX audio codec. Official Xbox 360 Wireless Gaming Receiver for Windows – this adaptor works with all existing and future Xbox 360 wireless accessories and offers a 10 metre range for up to four wireless controllers and headsets simultaneously. Eliminates the need for any additional accessories and simply plugs into PC USB port using six foot cable. JETech Wireless Bluetooth Stereo Audio Transmitter and Receiver – this is a 2-in-1 Bluetooth Adapter that also features a 3.5mm output. Easily add wireless capabilities to your TV, PC, MP3 or DVD player. This Bluetooth Receiver allows you to turn any speakers, headphones, stereo system to Bluetooth enabled devices. KitMaster Stream Widescreen 1080p Smart TV Dongle – wirelessly connect your desktop, laptop, iPhone, iPad, Android phone or tablet device to your HD TV. This dongle plugs straight into any HDMI slot allowing you to stream pictures, videos, and games in HD and HiFi on you big screen TV. DigiFunk – WiFi Music Receiver – connects to steroes and sound systems to allow streaming of music. AirPlay & DLNA Compatible and turns any existing sound systems into wireless streaming systems and creates its own WiFi Hotspot for smart devices! Voyomo USB Dongle Bluetooth Wireless Adapter For PS4 – this adaptor allows you to enjoy gaming without all the cable clutter. You can enjoy all your favourite PS4 games wirelessly through any Bluetooth headset in high-definition audio just by plugging in the dongle to the USB port on the PlayStation.